As you may have noticed – and I hope that you did – last week there was no post. Today I have something that I hope makes you smile. And I promise that next week there will be more woodworking in my message. On a recent trip to Pennsylvania for a week long teaching gig, I found myself standing in front of more than a few bottles of wine. As my eyes scoured the many choices, I couldn’t help but notice a couple of bottles by Hayes Valley, which is a California produced wine. 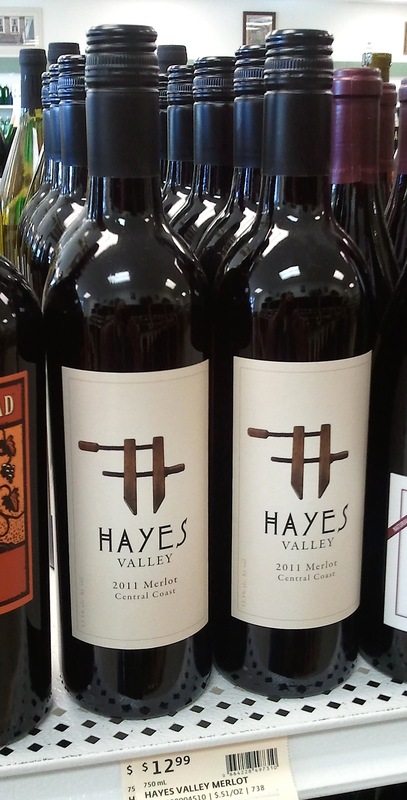 Interestingly, Hayes uses woodworking graphics on the labels. (At the left is a 2011 Merlot, and at the right is a 2011 Cabernet Sauvignon.) On the label is a antique hand screw clamp – of course, it couldn’t have been a table saw or router. My guess is that the company is trying to say that after a single bottle of Hayes Valley Merlot, you’re screwed. Or maybe the message is that this California winery uses every last drop squeezed from the grape to make its Cabernet. Or, we pictured an antique hand screw because our wine-making processes are slow and outdated. I think they used the handscrew because it looks like the letter “H” – for Hayes. At least it wasn’t a bench!